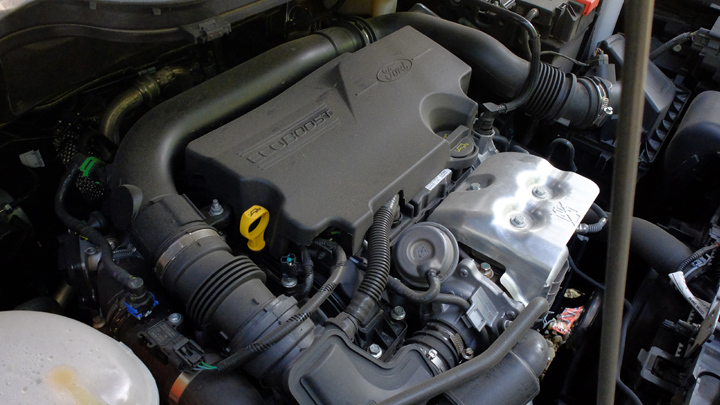 Is the new turbocharged powertrain worth the price jump? Ah, the Ford EcoSport. 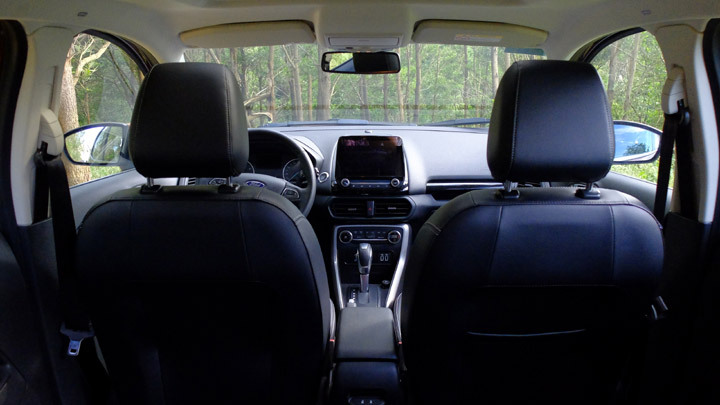 The American carmaker’s game-changing subcompact crossover showed promise when it first rolled into the market back in 2014, thanks to its compact size, stylish looks, and relative affordability—three traits that propelled the vehicle to the top of its segment, sales-wise. Unfortunately, customer feedback was not as rosy as the sales charts and figures might suggest. 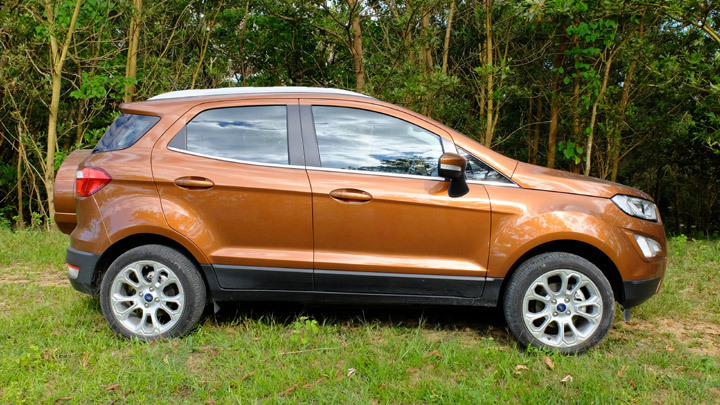 The EcoSport was plagued by complaints about its lack of power and notoriously iffy dual-clutch transmission—two grievances I experienced firsthand when I drove the car in 2015. 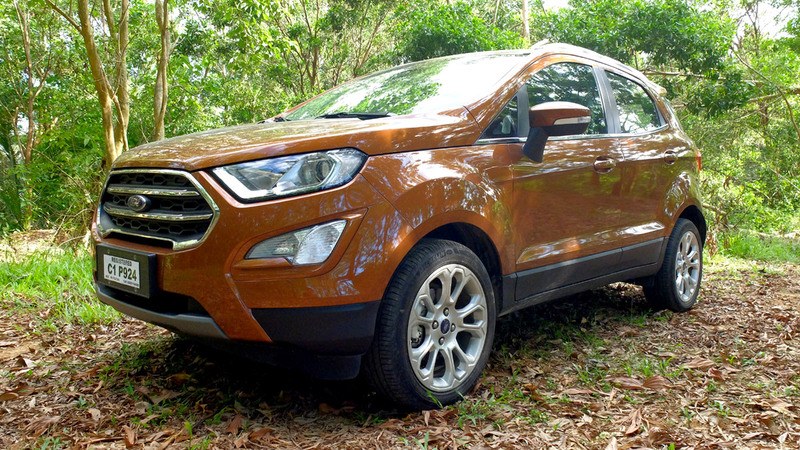 Thankfully, the new EcoSport is looking to address its predecessor’s shortcomings. Ford has made a 1.0-liter EcoBoost variant available in its Philippine lineup, and the clunky dual-clutch has been replaced with a conventional six-speed automatic. So, will this crossover redeem itself? From afar, you’ll be hard pressed to notice any changes between the facelifted model—here wearing a ‘Canyon Ridge’ paint job—and the previous one, because the overall styling and egg-like silhouette remain largely the same. Step closer, though, and you’ll see that this design refresh is quite substantial. 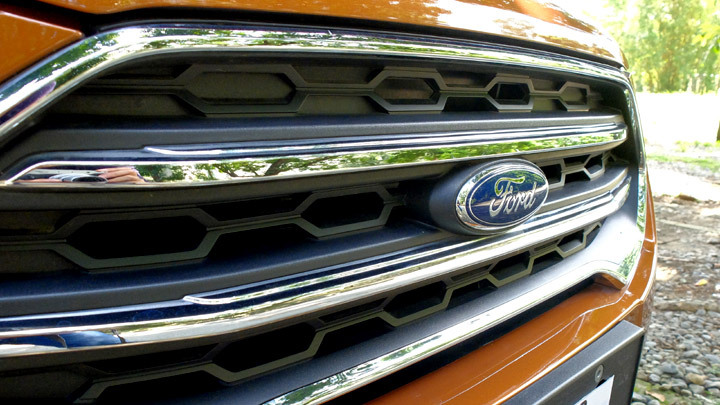 The new headlamps come in a modern design that gives off a more muscular impression, and the hexagonal grille has been given a bolder look that’s more in line with the rest of Ford’s lineup, thanks to fatter chrome bits. 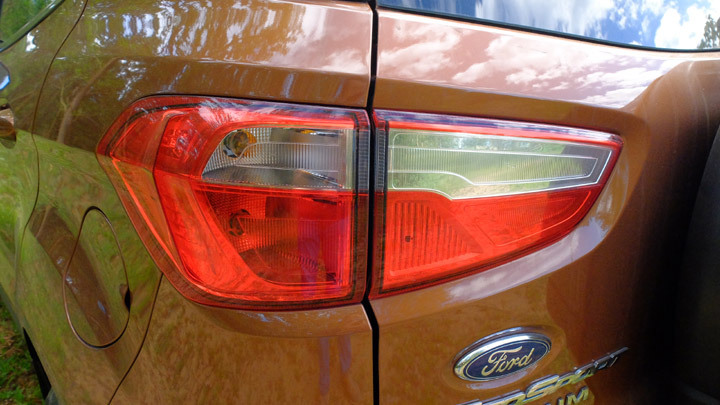 Circular foglights have also been replaced with larger units that provide the front fascia with a macho vibe. 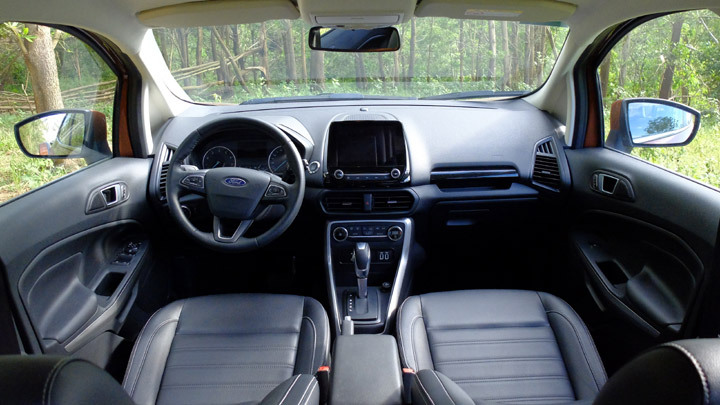 What Ford has done to the EcoSport Titanium’s cabin is nothing short of a complete overhaul. 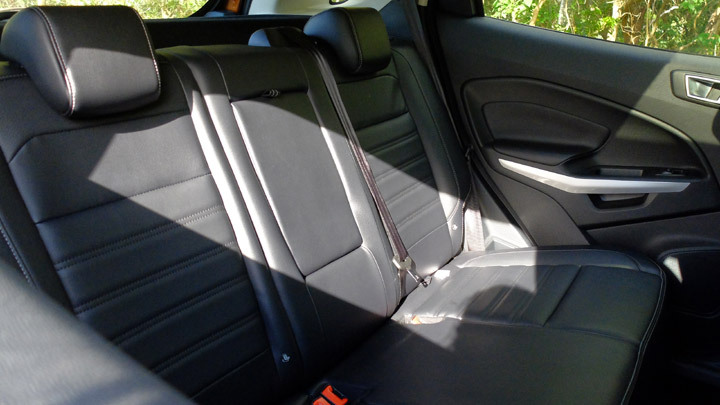 Hard gray and black plastics have been ditched in favor of materials both softer to the touch and easier on the eyes. 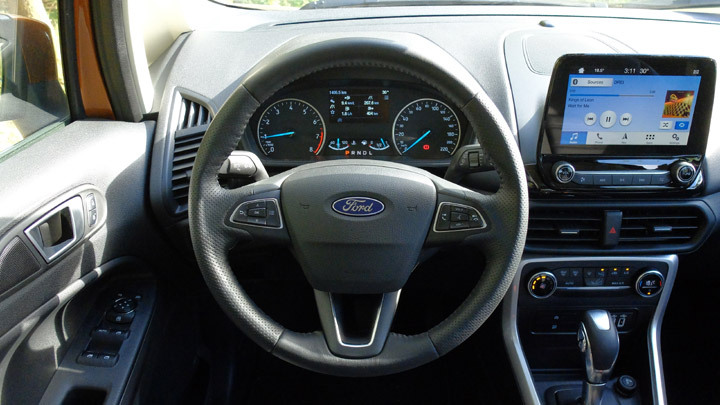 The dashboard, in particular, is a major step up, featuring improved A/C vents that better complement its newfound minimalism, and a much more user-friendly layout. There’s no unnecessary frills to be found here at all, and visibility remains good thanks to large windows and side mirrors. 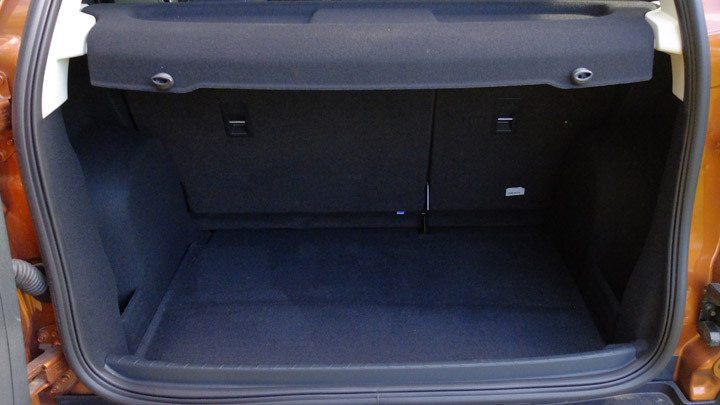 The one gripe I do have is the noticeable lack of easy-to-reach storage compartments. 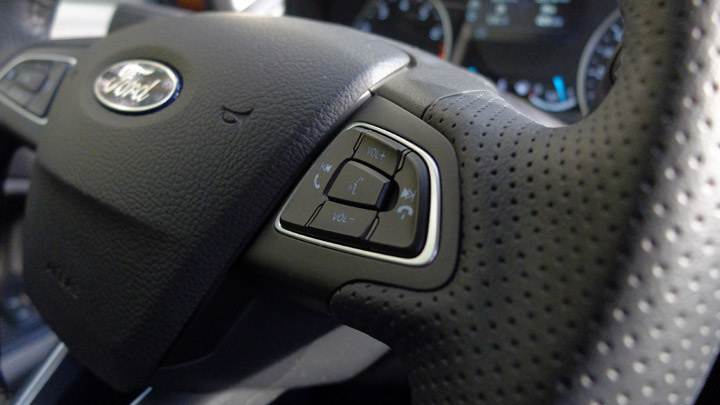 Some occupants may have trouble finding a place for larger smartphones and gadgets in the cockpit, though it’s clear that Ford has done as much as it possibly can with the modest amount of space available. This is what you’ve been waiting for, right? Does the 1.0-liter EcoBoost deliver? Is the transmission still as unreliable as LeBron James in the clutch? We’re very happy to report that yes, the addition of a turbocharged engine is as big of a deal as Ford has made it out to be, and that the new six-speed automatic is more Kobe-esque than LeBron in the waning minutes of an NBA playoffs game—silky-smooth and able to deliver when called upon. The EcoBoost mill delivers 123hp at 6,000rpm and 170Nm of torque at 1,500-4,500rpm, allowing the vehicle to get up to speed in decent time and for easy overtakes on the expressway. 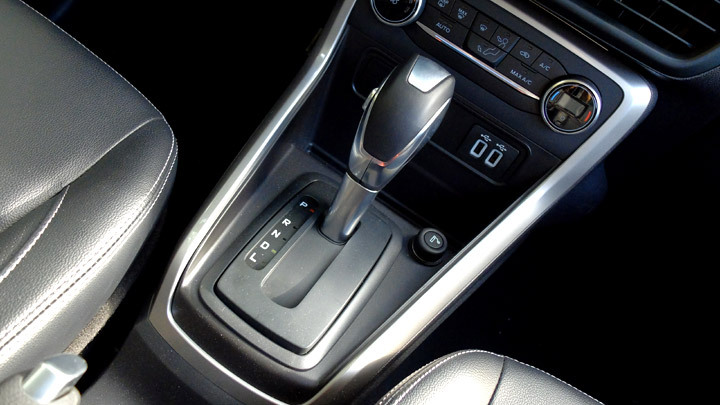 The transmission might still slur a bit, but what matters is that there aren’t any jerks or hiccups whether on the highway or in stop-and-go traffic. Turbo lag is barely noticeable, too. After six days of daily use and a quick weekend getaway to Bataan, our unit average about 9.8km/L. 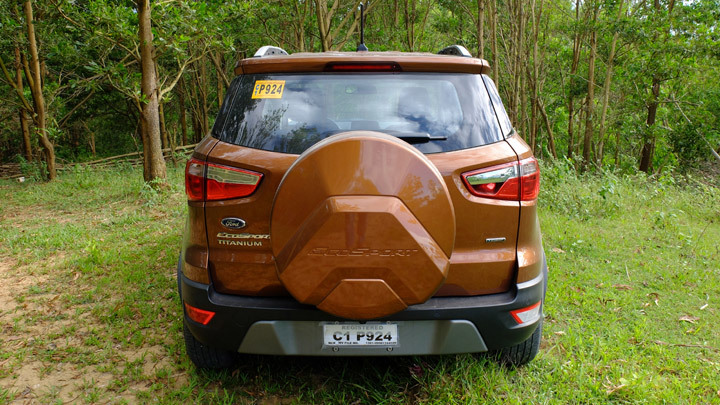 With three passengers and a cargo compartment packed with overnight luggage, the EcoSport had no issues keeping up with traffic on NLEX or tackling relatively steep inclines. The EcoSport may now come with a much more gifted powertrain, but that doesn’t make it a car you should be throwing around corners, despite its now-zippy performance and compact size. Remember that capability doesn’t necessarily equate to sportiness. 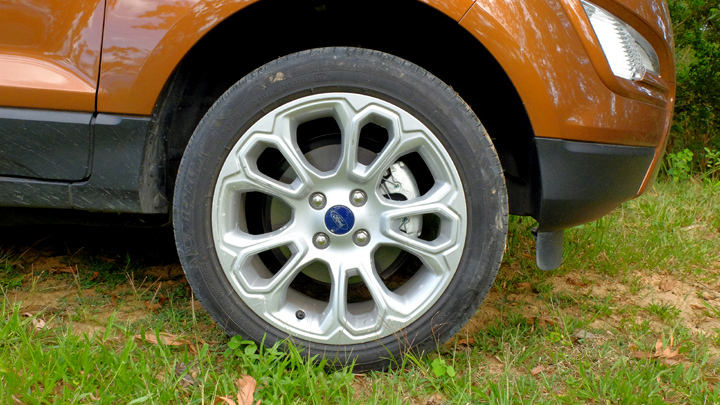 Then again, an EcoSport isn’t exactly a car you’ll be pushing to its limits. It’s a daily driver meant to get four to five individuals from point A to B with as little fuss as possible, and it does the job commendably. 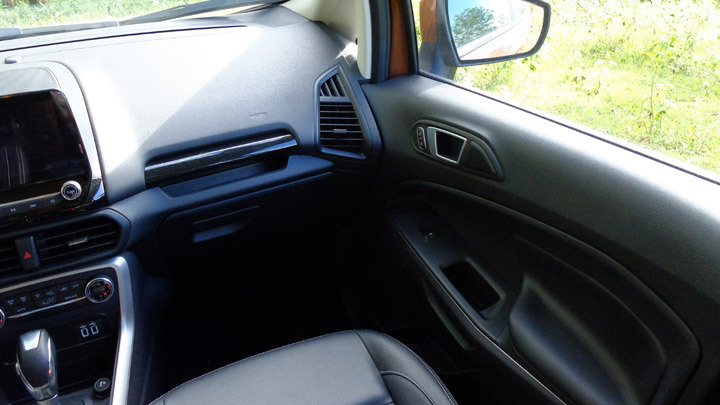 Large windows and side mirrors provide great visibility, and light handling and compact dimensions make the car a breeze to drive on crowded city streets. 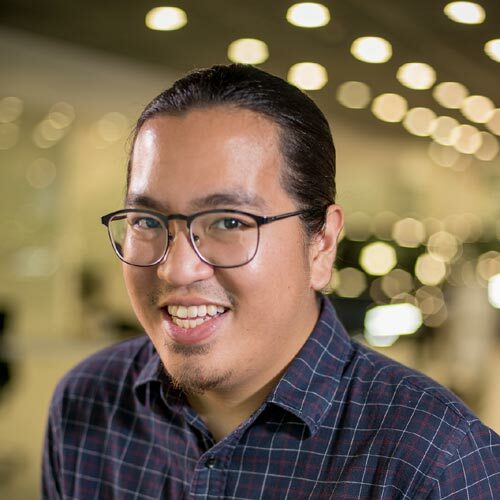 NVH levels are great whether at low speeds or at the limit, and while the suspension setup might not cancel out more significant bumps and potholes, it does an admirable job of minimizing the imperfections of Metro Manila roads. 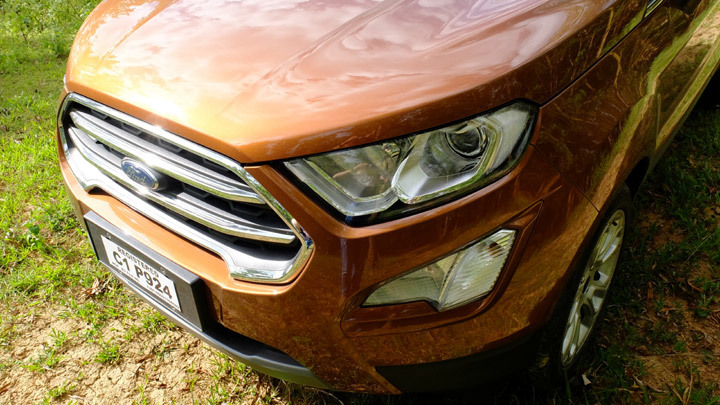 The top-of-the-line EcoSport is arguably the most feature-packed offering in its segment. 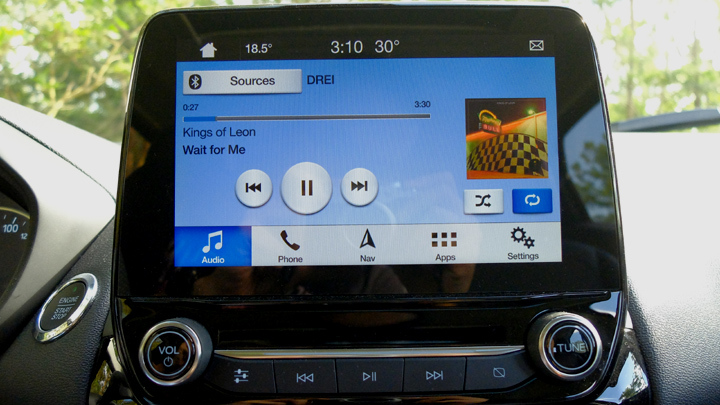 The new eight-inch infotainment system comes equipped with a floating touchscreen and Ford’s SYNC 3 system. It’s among the most seamless and intuitive units I’ve operated, whether I was managing texts, receiving calls, or changing tracks. Speaking of tracks, the vehicle’s seven-speaker setup—while not a collaboration with a high-end audio brand—delivers great quality, at least by segment standards. 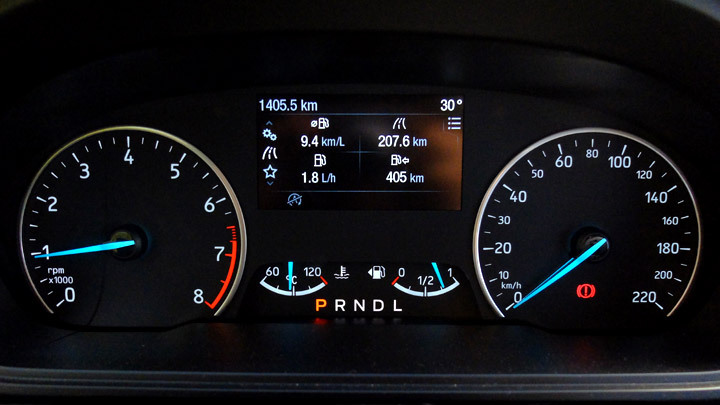 Also, two USB ports up front come in handy for long-haul road trips, and the 4.2-inch information display tucked between the gauges is simple to navigate and operate. Convenience-wise, the Titanium comes with all the bells and whistles. Automatic headlights? Check. Rain-sensing wipers? Check. 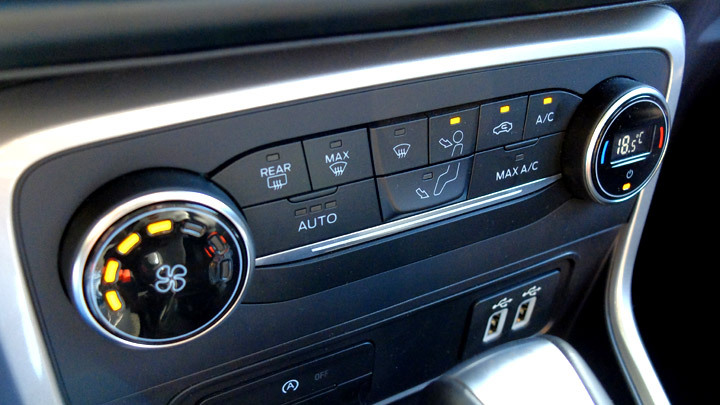 Automatic climate control? Check. Reversing camera? Obviously. There’s a sunroof, too. I just wish there were more cargo space, as a couple of duffel bags filled the rear up pretty quickly. 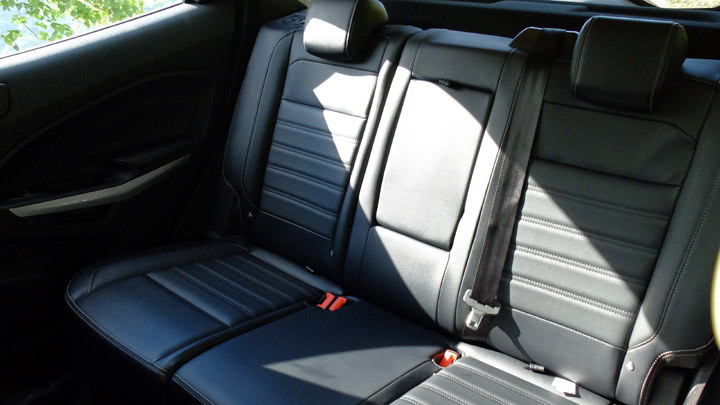 Though again, Ford did what it could with what modest space was available. Everything is pretty much covered here, and the extra assurance provided by the inclusion of side and curtain airbags is a major plus. 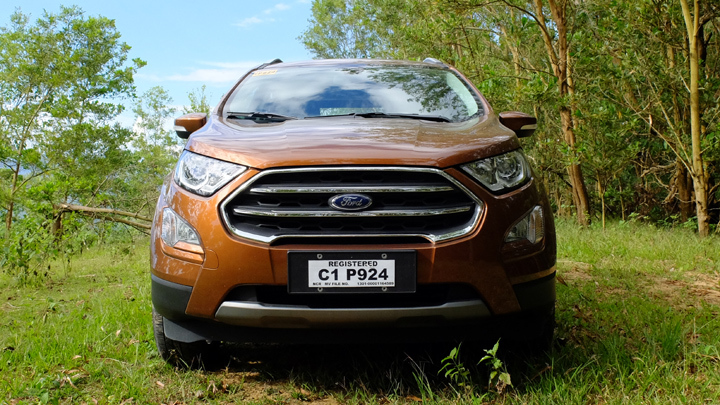 The new EcoSport Titanium is a good car. 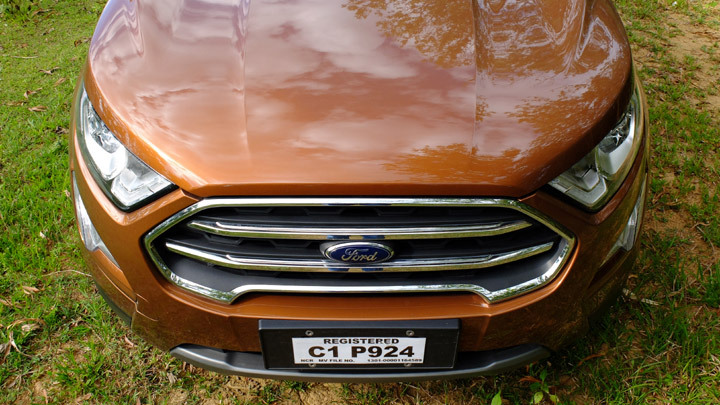 Ford’s decision to equip it with a more potent 1.0-liter EcoBoost engine, as well as to replace the old dual-clutch transmission with a conventional six-speed automatic, has done wonders to its on-road performance. The vehicle continues to fulfill its role as a capable, city-friendly daily driver with good ground clearance, but now, it also has the capability to keep up on the expressway. It also comes with all the fancy features you’d expect from a modern, top-of-the-line offering. The real question is whether or not you guys, as consumers, think this package is worth splurging well over P1.1 million on. 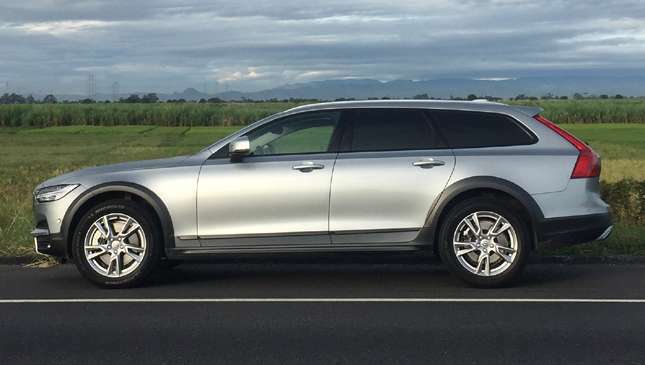 And you will indeed be splurging, considering the number of worthwhile offerings available at just a smidge above that price (for example, the Isuzu MU-X midsize SUV can be had for P1.3 million). 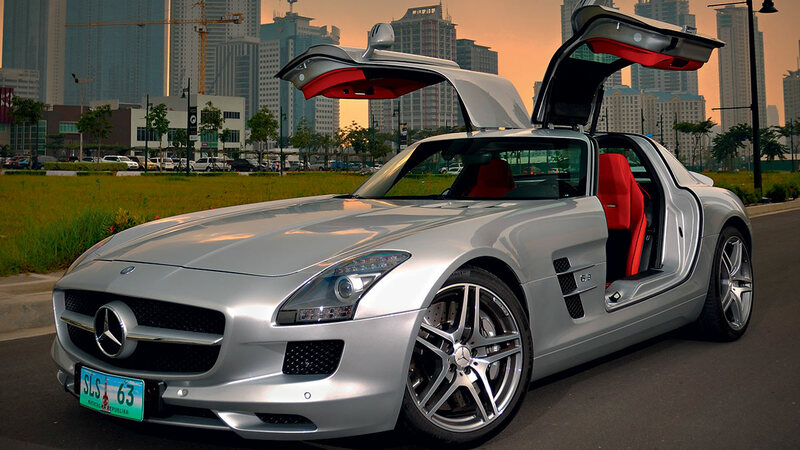 This car is expensive, period—even for a top-of-the line variant. 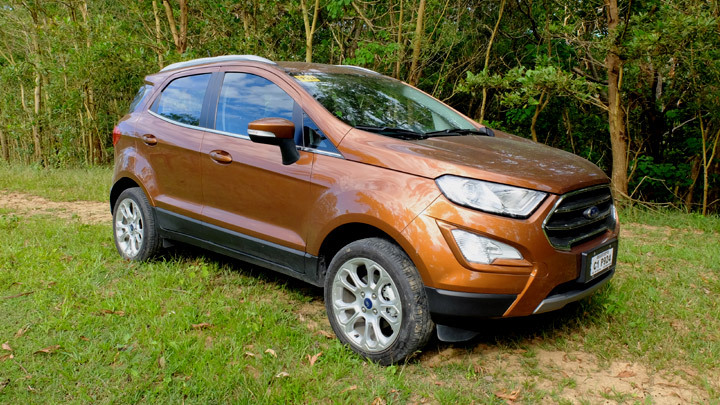 But here’s my take: If you’re on the hunt specifically for a subcompact crossover with good performance and you’re looking to indulge yourself with the most feature-rich package available, the EcoSport Titanium is a good bet.